At the clinic, Pharmacy students obtain medication histories, make medication-related recommendations to the healthcare team, answer drug information questions, and dispense medications. 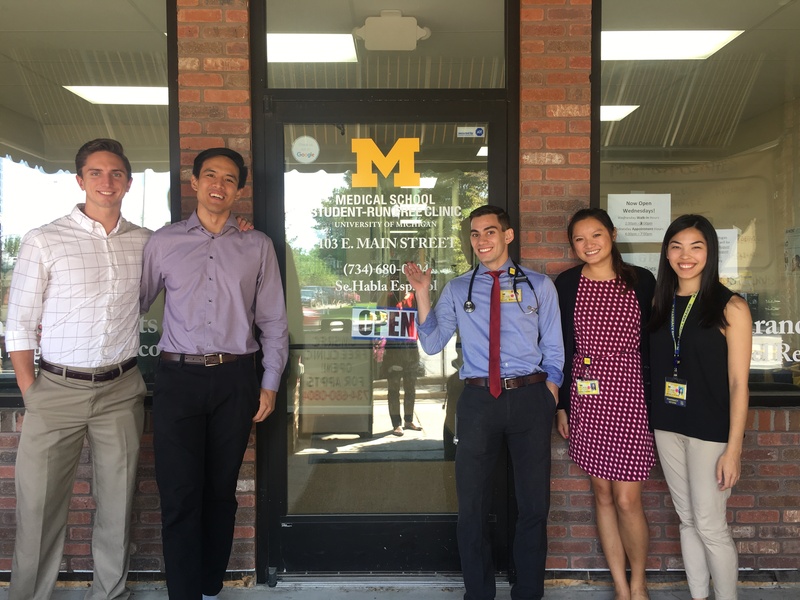 The University of Michigan College of Pharmacy has partnered with Michigan Medicine Residency Programs to provide services at the University of Michigan Student-Run Free Clinic in Pinckney, MI. The University of Michigan Student-Run Free Clinic (UMSRFC) is a student-run organization dedicated to providing quality healthcare free of charge to uninsured community members, while creating opportunities for U-M students to confront health disparities through direct action. 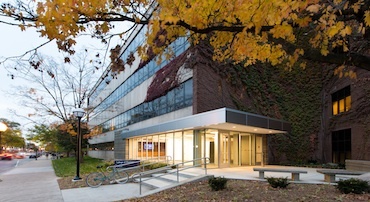 At UMSRFC, patients receive basic primary and preventative care. Starting in August 2017, fourth-year Doctor of Pharmacy students on ambulatory care advanced pharmacy practice experience (APPE) rotations have been placed at the UMSRFC on a weekly basis. Pharmacy students obtain medication histories, make medication-related recommendations to the healthcare team, answer drug information questions, and dispense medications. Pharmacy residents from Michigan Medicine serve as on-site preceptors and College of Pharmacy clinical and adjunct faculty are available over the telephone to provide additional clinical support. This initiative was led by Sarah Kelling, PharmD, MPH, clinical assistant professor of pharmacy and Amy Thompson, PharmD, director of ambulatory clinical pharmacy practices and clinical associate professor of pharmacy. Additionally, P2 students Kimberly Pais and Crystal Lee helped develop the new service and now sit on the clinic’s interprofessional leadership board. Kimberly and Crystal are responsible for managing samples that have been donated from physician offices and the implementation of quality improvement initiatives related to pharmacy services. If you are interested in supporting the clinic, donations are accepted to help cover the cost of rent, utilities, and inventory. Questions about the program can be directed to Dr. Kelling and Dr. Thompson.